We manage our property holistically and the above goal communicates the outcomes we strive to achieve. Farming food has become very much an industrial business, to what we believe is the detriment of farmed animals, the community and the environment. At Blackwood Valley Organic Beef we seek to address these issues, and at the same time earn enough income to support our family by selling what we produce at fair value. In Western Australia we farm some of the most fragile and worn soils in the world, so farming here is very challenging. Add to this the effects of climate change and declining rainfall, it soon becomes clear the old European ways of farming are not sustainable. As part of our holistic management at Blackwood Valley Organic Beef we practice rotational grazing methods and regularly monitor grass growth thus ensuring we always have the appropriate amount of cattle on the farm. These methods were developed in Southern Africa in an environment similar to ours and closely mimic the natural herd movements of the herding Southern African herbivores. The herd movements of our cattle help to maintain our soil fertility through the stock fertilizing the paddocks, and through the cattle recycling plant material into the soil through trampling. 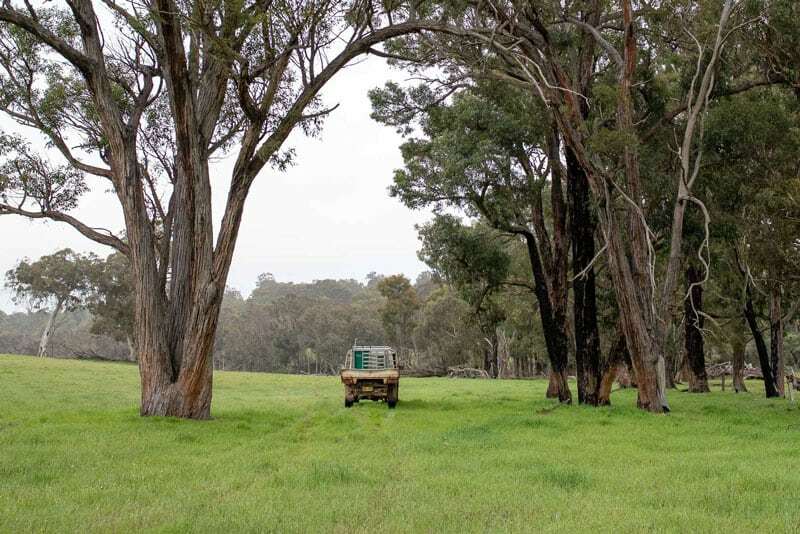 Our goal is to always have 100% ground cover to protect our soils from both water and wind erosion, thus protecting our environment and ensuring our way of farming is sustainable now and into the future. We are also establishing perennial grasses on our farm which will have the triple benefit of providing year round green grass for our cows, help combat the scourge of salinity that plagues our farming environment here in WA and provide a carbon sink for the storage of carbon dioxide from the atmosphere. Along with our organic methods of using no artificial fertilizers or chemicals to produce the beef we sell, we minimize the impact our food production system has on the wider community. 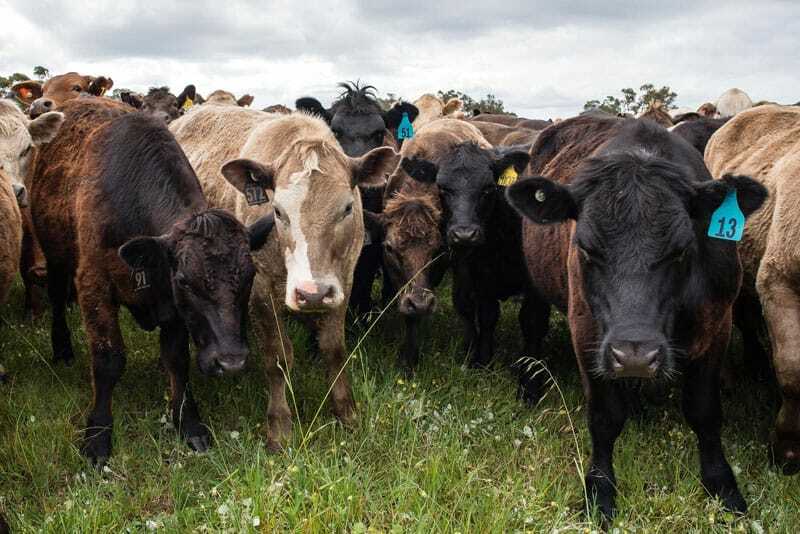 With our rotational grazing methods our cattle are regularly moved into fresh paddocks, thus ensuring good growth rates are maintained, eliminating the need for chemicals to control parasites, and our cattle become docile due to regular handling. This all contributes to the end quality of the beef we produce. When our cattle are handled and transported they are moved using low stress stock handling methods, which ensures a quieter more contented animal, this also has an effect on the overall eating quality of our beef. and there is growing evidence to suggest that this change is having a dramatic effect on human health. On top of the Omega 3 benefits grass-fed beef has also been shown to contain as much as 300-500% higher rates of Conjugated Linoleic Acid, or CLA , than regular beef. CLA has been shown in lab tests to have some Anti-Cancer fighting properties as well as being powerful in fighting inflammation and aiding in weight loss. The rates of chronic disease such as diabetes and heart disease are rapidly increasing in our community, on top of the growing epidemic of obesity, and in most cases this can be put down to poor diet and nutrition. At Blackwood Valley Organic Beef we believe having a healthy, well balanced diet, that includes our beef, will go a long way to reducing the health problems that beset our community.